FINAL TEXT: Deal Physical damage to target enemy with a 70% chance to inflict Stun for 1 turn. If the target is debuffed, Aurra Sing gains 20% Turn Meter. 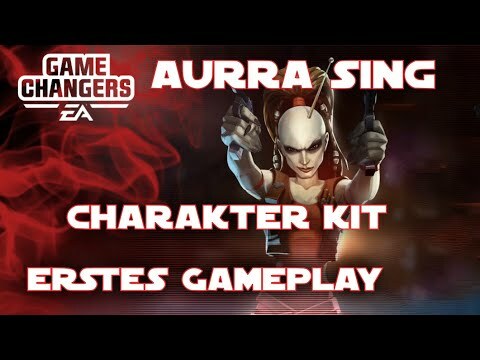 FINAL TEXT: Aurra Sing gains Critical Chance Up and Offense Up for 3 turns and deals 35% more damage with her next ability. If Aurra Sing was already Stealthed, she takes a bonus turn. FINAL TEXT: Deal Physical damage to target enemy. If the target is Toppled, this attack deals 200% more damage and this ability's cooldown is reset. FINAL TEXT: Aurra Sing has +40% Critical Damage. This bonus is doubled while Stealthed. Whenever a Bounty Hunter ally defeats an enemy, Aurra Sing gains 10% Critical Chance (stacking) for the rest of the battle. Reward: All Bounty Hunter allies gain +50% Counter Chance and their Payouts are activated. Bounty Hunter allies recover 25% Protection and gain 25% Turn Meter whenever an enemy is defeated. 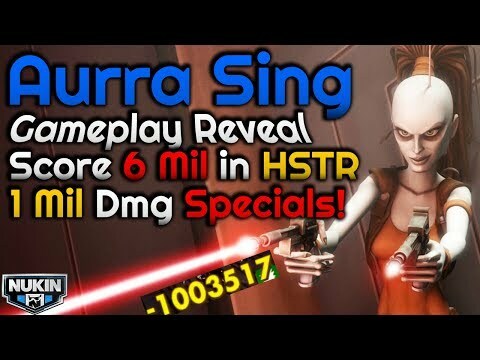 Payout: Aurra Sing has +25% Offense, +50% Health Steal, and whenever she uses a Special ability, she gains Stealth for 1 turn. I like that there is some versatility within the factions with all the leaderships. Sorry YouTube took a dump on me today a lil' late but here's my video..enjoy! Nice! She’ll be fun to use in 8 months. I love how the game changers release HSTR videos of new marquee characters as if this information has ANY value whatsoever to 99.9% of the player base. Cause the .1 percent will pay and allow the other 99.9 not to. Also Bh were always suppose to be pve. 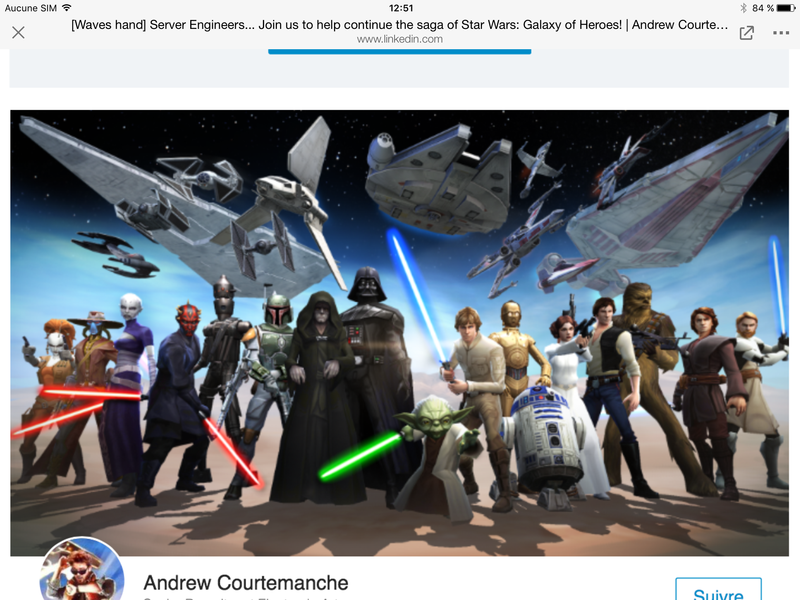 So the whales that will buy Aurra shards need help in the sith raid? Ok, Jan. Excited to unlock her and try her out. They probably don’t need help beating it- but do staying top 10. It’s not to say I don’t have marquee fatigue but there really isn’t another way for toons to be released unless it’s a journey or legendary. I love how people like you continue to make comments like this as if it has any value whatsoever to these threads. Any chance we'll actually see her before the BH event? Exactly. So why didnt we get any bounty hunters as a journey or legendary? Because I think a legendary will be the 10th BH. A journey not for BH. I think journies are better suited towards the Lukes, reys, revans. I think a cool video would be- which Bh leader works well, where, and against who. Im still digging Bossk though. This is cool for me since my GW squad will be outgrowing the GW table soon and I will need to bring up a new one. Bossk, Embo, Aurra seem like an interesting area to explore. guys, guys, guys... come on... it has nothing to do with being a helpful guide. They’re making the videos to show you how much you NEED the new marquee toon and hopefully lead you to spending money to acquire them. This is EA we’re talking about. Well of course, gamechangers are there to promote the game while also adding their own style to the videos. Also I doubt anyone NEEDS Aurra Sing, since Chex Mix is a lot easier to obtain for F2P. 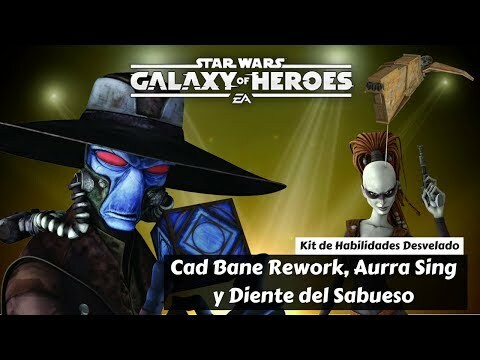 This is whale food for those that are determined to keep their top 10 spot until CG fixes the garbage rewards for ranks 11-50.
Who guessed that Aurra Sing will be revealed in SWGoH anytime? So we're waiting for C-3PO. There's also a rumour about Latts Razzi that she will be released on August 30th 2018. This is the biggest, juiciest bone for whales ever released. Until the HSith Raid rewards are fixed, many have their wallets closed. I did raise an eyebrow when I saw her name though. The final text on Sniper’s Expertise doesn’t mention the zeta. 1) Thursday is the first day in a looooong time to have no event at all. 3) Marquee event Thursday and Friday, or Wednesday and Thursday. My expectation is 3, but it's entirely possible to be 1. I've only ever seen the movies (and played Old Republic MMO, but I know she's not from that) so I'm not familiar with the character. What's with the car radio antenna popping out of her head? Cool, another character to unlock at 3 stars and then forget about for 6 months. Fantastic.